Gotten a parking ticket in Salt Lake City lately? Your state legislators likely haven’t. (Al Hartmann | Tribune file photo) A parking meter pay station on Main Street in Salt Lake City, July 9 2013. New disclosures show that Salt Lake City has offered free parking for legislators at metered spaces during legislative sessions for years. Quietly under the radar for years, Salt Lake City has offered state lawmakers free parking at metered spaces downtown during their 45-day legislative session — if they provide their license plate numbers in advance. Besides free parking, it may be free “perking” for a powerful few. The city says it is not designed to sway lawmakers’ votes to help the city, but rather to persuade them to take their business to downtown restaurants and other venues. The practice comes to light now because of a Jan. 10 letter obtained by The Salt Lake Tribune through an open records request. In it, Mayor Jackie Biskupski wrote to all lawmakers saying, “I recognize during the upcoming legislative session you will be spending a great deal of time not only at the Capitol, but also in meetings with constituents and other interested parties in downtown Salt Lake City locations. 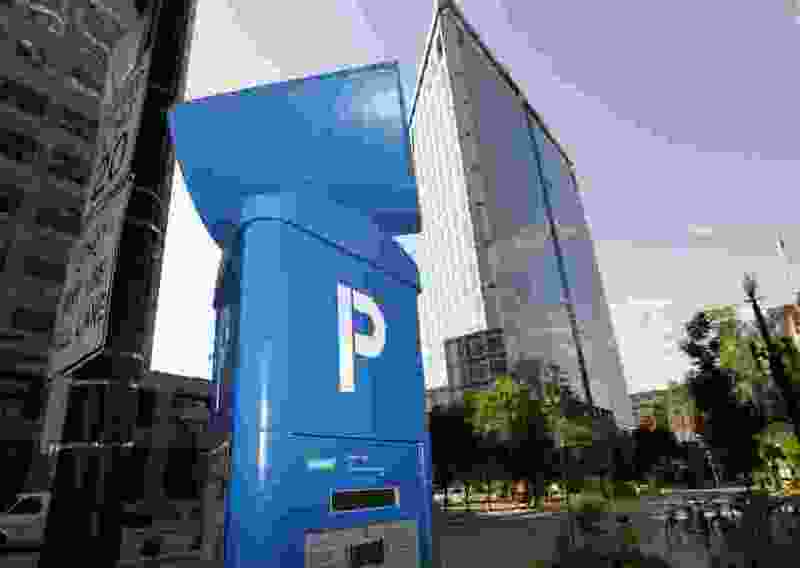 She said that would allow lawmakers to “park one identified vehicle free of charge at any Salt Lake City parking pay station” during the legislative session. In other words, they face no possible parking tickets if they sign up. Matthew Rojas, a spokesman for Biskupski, said 30 of the state’s 104 legislators accepted the city’s offer so far this year. He said the Biskupski administration inherited and continued the program, and officials are unsure how long it has been operating. Records indicate it has been at least five years, Rojas said, and some legislators interviewed said it may be much longer. “The focus of this was to get legislators off the Hill, and make it more convenient for them to come downtown” and help restaurants and other businesses there, Rojas said. “It provides exempt parking at meters only — nothing in fire lanes or parking at the Capitol,” Rojas said. “It’s part of our role as the host city for the Legislature. It's only for 45 days,” and not for the full year. Does the practice sway any lawmakers’ votes? “I don’t think so,” Rojas said laughing. 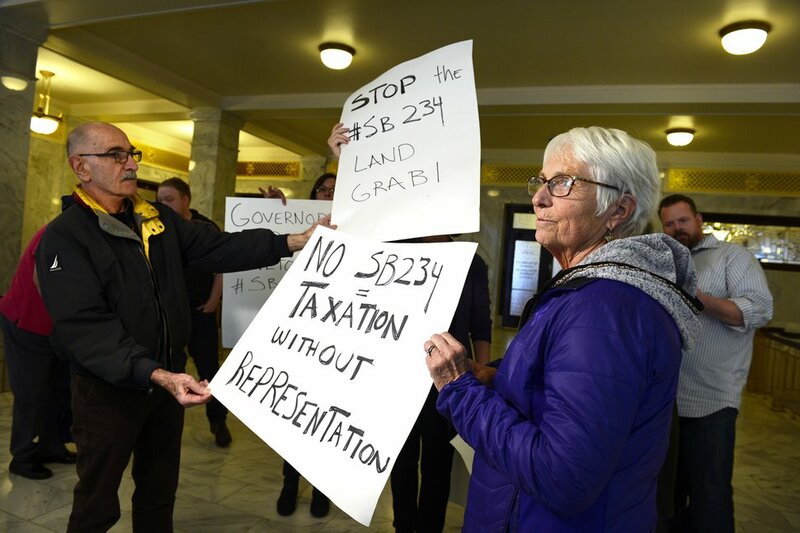 After all, the Democratic stronghold of Salt Lake City has fared notoriously poorly in recent years at the heavily Republican Legislature. For example, over the city’s loud objections, the Legislature approved putting the new state prison in its boundaries, and to locate the new inland port there while stripping the city of its land use control over the port’s vast area. (Scott Sommerdorf | Tribune file photo) Opponents of the inland port gather outside of Gov. Gary Herbert's office on March 14, 2018. The Legislature also has meddled in city ordinances on everything from outdoor billboards to an anti-idling law and how historic districts are formed. New Senate Majority Leader Evan Vickers, R-Cedar City, said, “This is the first year I've taken them up on the offer. But I haven't used it yet,” adding he’s leery of whether a ticket would still appear if he parks at a metered space and leaves without paying. He says he thinks it has been offered all seven sessions he has served. House Majority Whip Mike Schultz, R-Hooper, said he has never accepted the city’s offer, which he has seen every year of his five years of service. Similar to Vickers, he said, “If this were an offer for all year, I could see that would be a problem. But for the legislative session, it only saves a few dollars” in parking fees for a typical lawmaker. The offer for free parking “doesn’t influence my vote in any way shape or form, and I personally haven’t filled out the paperwork” to try to accept it, Schultz said. Correction: A previous version of this story misidentified Matthew Rojas, who is the spokesman for Salt Lake City Mayor Jackie Biskupski.